Extension agent, Andrea Kawabata held an educational workshop on April 12, 2012 at the Kona Extension Office on Worker Protection Standards. 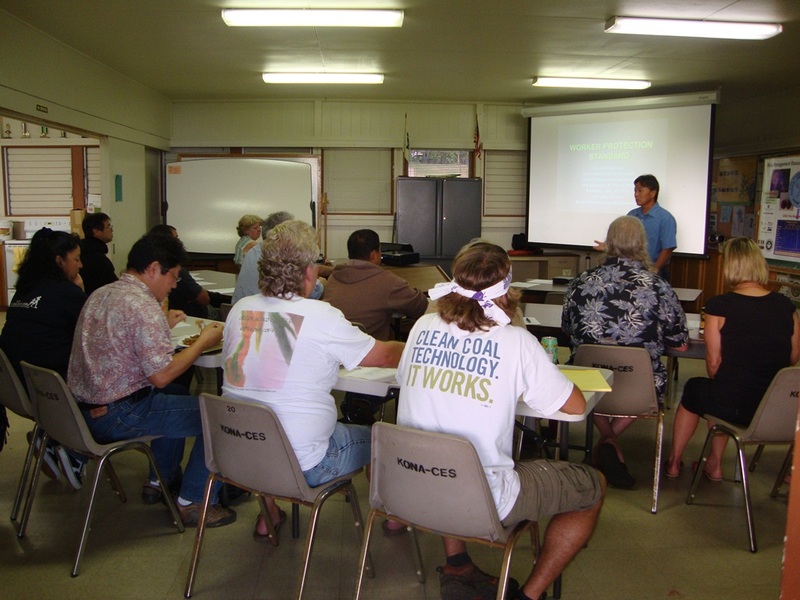 Derek Shigematsu, a certified trainer at the Hawaii Department of Agriculture, helped participants gain a deeper understanding about pesticide safety and the responsibilities of crop protection chemical applicators. Participants also learned about federal regulations regarding Worker Protection Standards (WPS). Mr. Shigematsu clarified that there are very few changes to the WPS codes. 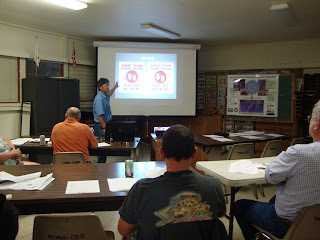 The workshop stressed the importance of following federal WPS regulations, thereby avoiding violations and citations. Examples were provided to highlight the importance of WPS. Finally, the importance in maintaining pesticide labels and MSDS sheets were stressed to minimize human and legal risk factors.